A graduate of the School of Visual Arts in New York City, Joe St.Pierre began his professional career in 1992 as a penciller for the fledgling comic book publisher Valiant. After several issues and much support, Joe soon became a writer as well. 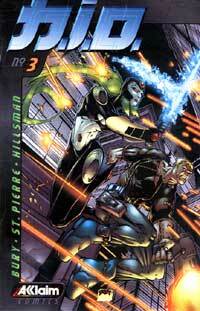 His best known work at Valiant was a 10-issue run of the title Secret Weapons, which he wrote and drew. Secret Weapons #1 was released in 1994, and placed #9 on the Diamond Distributors Top 100 that month, with sales in excess of 600,000 copies. Shortly afterward, Joe expanded his clientele to include Marvel and DC Comics, the two largest comic book publishers in the US. He has illustrated some of the most recognizable super hero properties in history, including Batman, Superman, Wolverine, the X-Men, Fantastic Four, Aquaman, Superboy, and Green Lantern. 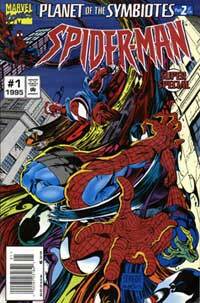 He illustrated a substantial number of titles featuring the Amazing Spider-Man, including several special issues, two mini-series, a six-issue run of Spider-Man 2099 and several covers. 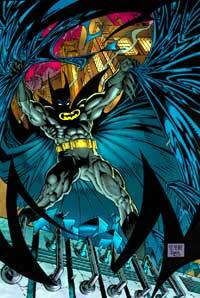 In 1997, Joe explored the field of original, creator-owned properties. He co-created and designed Megahurtz, a cyborg in a futuristic dystopia. 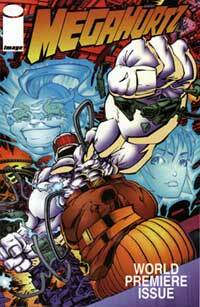 A three issue mini-series was published with Image Comics, the third largest comics publisher. It was his experience with Megahurtz that Joe became well-versed in the production end of publishing. 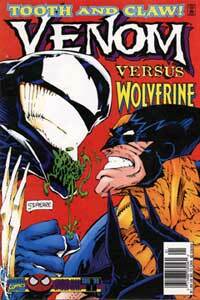 He continues to produce original properties for publishing and/or license to this day. Joe has also expanded his illustrative style to include editorial and advertising art, as well as storyboard work for television and commercial ventures. His clients include publications (the New York Times, Details Magazine, several electronics magazines), animation studios (MTV Animation, Nickelodeon, Warner Bros, Cartoon Network and Digital Productions Solutions) advertising agencies (MTV Commercials, Nissan, the Pennsylvania Public Library, Saatchi And Saatchi, Pepperidge Farm, Taco Bell) and video game companies (Acclaim and Activision). In 2004 Joe was commissioned by the Discovery Channel/Animal Planet to work on a promotion for Steve Irwin "The Croc Hunter". An eight page promotional comic book was produced, as well as additional art for television commercials and magazine advertising. There were over one million promotional comics printed. 2005 is already a landmark year for Joe. He contributed illustrations of TV celebrities in the largest phone box advertising campaign in British history, and founded Astronaut Ink, his own publishing company. The first project from Astronaut Ink is Bold Blood, a 48-page, full color graphic novella. It will hit stores on October 19, 2005.